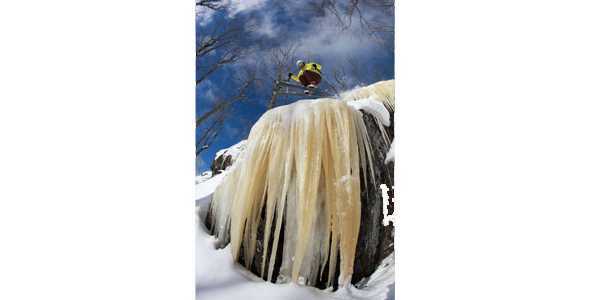 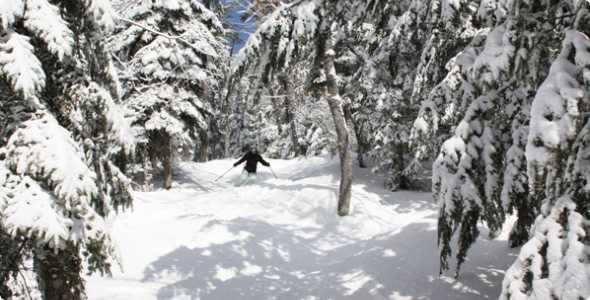 Located in the Keweenaw Peninsula of Michigan’s Upper Peninsula, Mount Bohemia is a true back country experience. 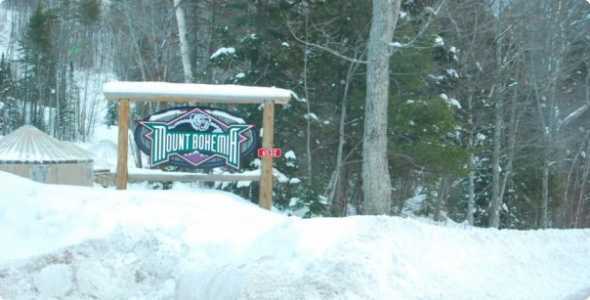 Just as the sign states out front of Mount Bohemia, No Beginners Allowed. 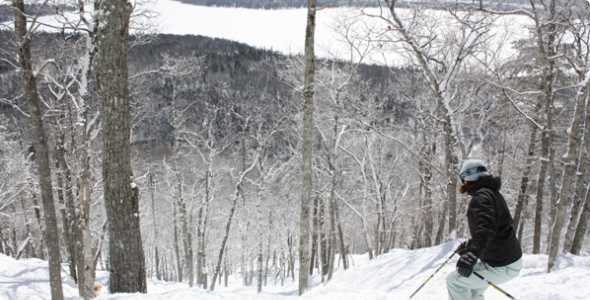 Bohemia consists of 70+ named trails, all black diamond trails, none of which are groomed. 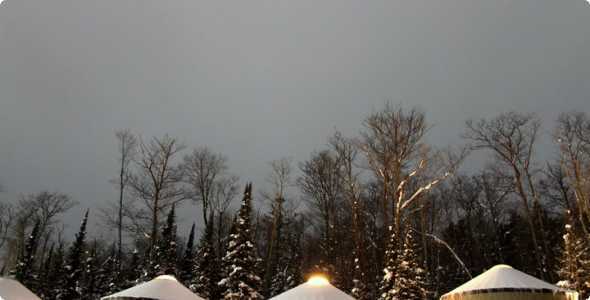 This is definitely not a place to take the family. 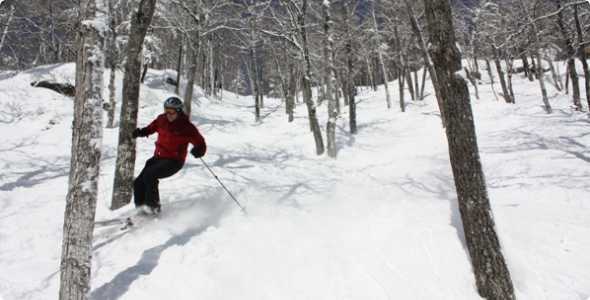 Mount Bohemia boasts terrain only found in big mountain skiing and snowboarding. 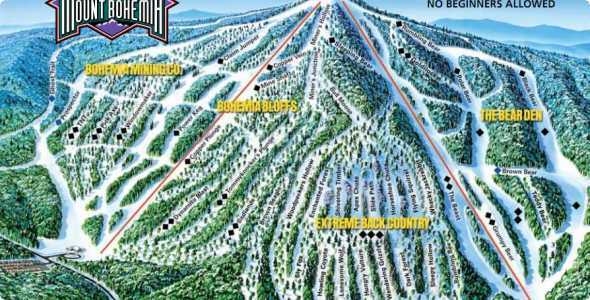 Features like chutes, cliff drops and large forest laden bowls, Bohemia will challenge the most seasons skiers and snowboarders. 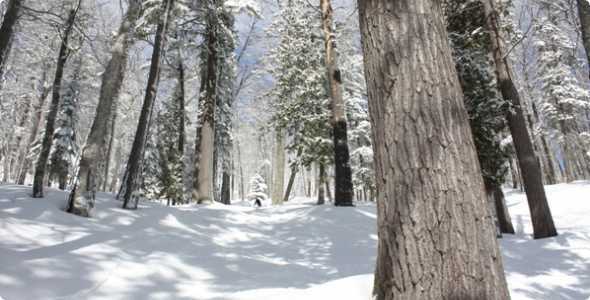 Accommodations include trail side cabins, Yurts or go the economical route and stay in the hostel or camp trail side.